Our law firm collects personal information only when you submit it to us. If you decide to submit such personal information, we or an external service provider will retain the information that you submit in a database, and we will use this information to complete your request. Any service provider that we designate will have agreed not to sell or distribute your information to any third party, and we will also not share the information with any third party except for the service provider. We may also use the information retained in the database to communicate with you directly via email or direct mail, such as to inform you about upcoming seminars that may be of interest to you. In order to guard your nonpublic personal information, we maintain physical, electronic and procedural safeguards, but we cannot guarantee that your personal information will never be disclosed in a manner inconsistent with this policy. Currently, we only employ a “cookie” for more accurate traffic analysis such as tracking the time/date of the visit, the page viewed and the referring website. This cookie retains some form submission details. The data that we do collect is never stored in any individual website tracking profile and only serves to update aggregate counts allowing us to monitor site traffic. We may share non-personal, anonymous information collected through cookies with third parties. Most browsers are initially set up to accept cookies. If you would prefer, you can set your browser to reject cookies. With the passage of the Gramm-Leach-Bliley Act, Estate Planning Attorneys, as CPAs, banks, trust companies and other financial service providers, are now required to inform their clients of their policies regarding the privacy of client information. Attorneys have always been required under their Code of Professional Conduct to keep their clients’ information confidential. Therefore we have always protected your right to privacy. Furthermore, in order to practice before the Internal Revenue Service, we are forbidden from disclosing any client information provided for tax planning or preparation services without your prior written consent. Non-Public Information We Collect. We collect non-public personal information about you that is provided by you or obtained by us with your authorization. Parties to Whom We Disclose Information. 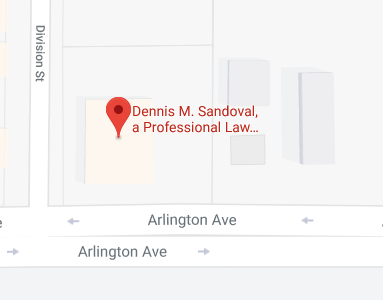 We do not disclose private personal information about clients or former clients obtained in the course of our practice, except as required or permitted by law. As legal professionals, we are required by law to make disclosures of private information where we have knowledge of elder or child abuse, or of the intent to commit a crime. Employees. In order to complete work you engaged our firm to produce, your private information may need to be disclosed to employees of our firm. Outside Providers. On occasion, we may need to provide your private information to unrelated third parties who may be called on to assist us in completing work you have engaged our firm to complete. This information is never provided without first obtaining your written permission. Examples of third parties to whom your private information might be disclosed are an accountant to assist us with tax research or accounting services, an appraiser to help us to value your assets, or a life insurance professional providing us with quotes for obtaining life insurance coverage. Protecting the Confidentiality and Security of Client Information. In order to better serve you and your heirs, as well as comply with certain professional guidelines and requirements, we retain records of the professional services that we provide. As part of our commitment to provide you with the finest service possible, we maintain physical, electronic and procedural safeguards to protect the private information of our clients and former clients. These safeguards comply with our professional standards as well as with the federal regulations. Request Not to Release Information. The Federal Trade Commission regulations require us to notify you of your right to request that our firm not release your non-public personal information. While it is unnecessary for you to do so, because our firm does not release any private information, in the interest of satisfying the regulations we include this disclosure. Although the attorney/client privilege by which our firm is bound prohibits us from releasing any communications between you and one of our attorneys, you can always request that our firm release such information to anyone you designate. Should you have any further questions regarding our privacy policies and procedures, please feel free to call our office at In Inland Empire Estate Planning Attorney or email us at katie.keenan@gmail.com. A Revocable Living Trust is a key component to nearly every estate plan. Learn Why! Download our Comprehensive, Informative Free Report: Considerations for Constructing Your Revocable Living Trust.